When Fairmount, GA needs to call a local electrician, they choose to get the services they need from the experienced team at EaZy Electrical. Read about our successful electrical repairs, installations and safety measures we have provided for our valued Fairmount, GA customers, and see why they consider us their local electrician. They came on time, they were very thorough when locating and fixing a burnt wire and putting up new lighting. Very honest, good prices, informative and friendly. Licensed, insured and bonded electricians are installing a new 200 amp electrical service on the home. 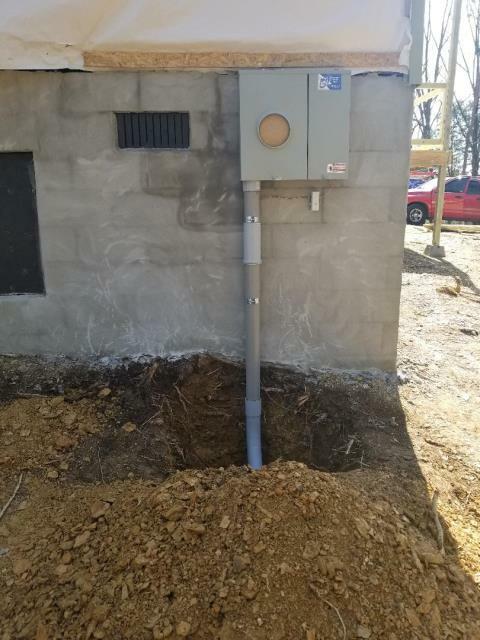 Certified, Licensed, Insured and bonded electricians will be installing a new electrical service with new meter and service cable for a new mobile home. We offer electrical and plumbing service in Fairmount GA.
Electrician is repairing electrical shorts. Electricians are repairing an electrical short, we are experts in electrical power outlet repair. Certified electricians have upgraded the electrical panel in the home. Electrician is repairing an electrical outage finding burned up wiring and making repairs. Electricians are looking over a future commercial electrical project. Backup Generators are a great addition to the home certified electrician to do installation.